Elvis Presley’s Graceland in Memphis glowed a bright red, white and blue in support of the U.S. football team competing at the World Cup. The home was illuminated in the lights beginning Thursday night. Memphis area youth who play in the Mid South Futbol Club flipped a ceremonial switch in front of the home to light up the premises. 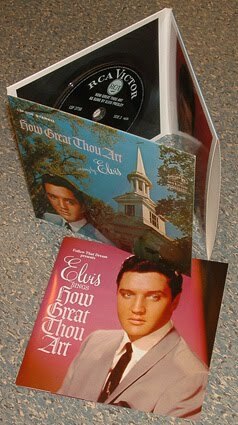 The Follow That Dream re-issue of “How Great Thou Art” was released by the FTD collectors label.